Throughout the Pacific, there has been increasing interest and commitment to enacting legislation to specifically introduce temporary special measures to promote women in national parliaments and/or local level governance structures. 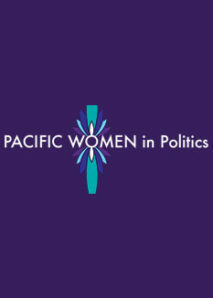 This page collects together Pacific legislation and Bills on women in politics If you know of a Bill or law which we have missed, please send it to the PacWIP team at pacwip@gmail.com. In June 2013, the Legislative Assembly of Samoa unanimously passed the Constitution Amendment Act 2013 that provides for a minimum of 10 percent of seats (equivalent of five seats) for women Members of Parliament. . The system proposes a "floating" five reserved seats for women. If no woman is elected during the elections, the amendment is activated and five seats are added to the Assembly. This will mean a Samoan parliament with a total of 54 seats. If one woman is elected then four seats are added and parliament has 53 seats, and so on. When extra seats are added, they are filled by women who have already run in open constituencies. The unsuccessful women candidates who receive the highest percentage of votes in the election will fill the requisite number of reserved seats. On 24 May 2012, the PNG National Council of Women published a notice in The National newspaper calling on the Caretaker Prime Minister to direct the PNG Electoral Commissioner to include women's electorate in the 2012 National Elections in accordance with the constitutional amendments to Section 101, passed 23 November 2011. The notice included a copy of the Constitutional Amendment No.32 - Equality and Participation Law 2011. The Bill, which was introduced to the FSM Congress in 2010, proposed an amendment to the Constitution of the Federated States of Micronesia, for the purpose of increasing the representation of women in Congress by increasing the number of at-large seats in Congress, and reserving said seats for women. The Bill was referred to the Committee on Judiciary and Governmental Operations, but was not returned to Congress for consideration. With the elections in 2011, the Bill has now lapsed. Act No. 2000-493 of 6 June 2000 to promote equal access of women and men to electoral mandates and elective functions andOrganic Law No. 2000-612 of 4 July 2000 designed to promote equal access of women and men to elected members of provincial assemblies and the Congress of New Caledonia, the Assembly of French Polynesia and the Territorial Assembly of Wallis and Futuna Islands. Loi n° 2000-493 du 6 juin 2000 tendant à favoriser l'égal accès des femmes et des hommes aux mandats électoraux et fonctionsélectives et loi organique n° 2000-612 du 4 juillet 2000 tendant à favoriser l'égal accès des femmes et des hommes aux mandats de membres des assemblées de province et du congrès de la Nouvelle-Calédonie, de l'assemblée de la Polynésie française et de l'assemblée territoriale des îles Wallis et Futuna. See also the French Assemblee Nationale website relating to Parity Law and the archives relating to the parity, equality between women and men.